If you have a problem with your van, no matter how small you think the problem is, please feel free to pop in or give us a call. We recommend that cam belts require periodic replacement. 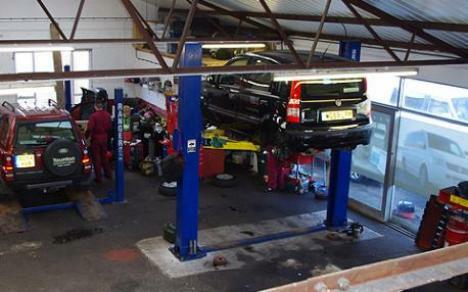 We carry out minor repairs such as replacing bulbs, batteries and wiper blades, replacing exhausts, radiators, steering and suspension components and clutches. We will deal with tow bars too. You won't find us at Motorhome Shows but that's only because we're busy designing and building vans for our customers. If you would like to see us, you are welcome to visit us at our workshops and see where the real magic happens.